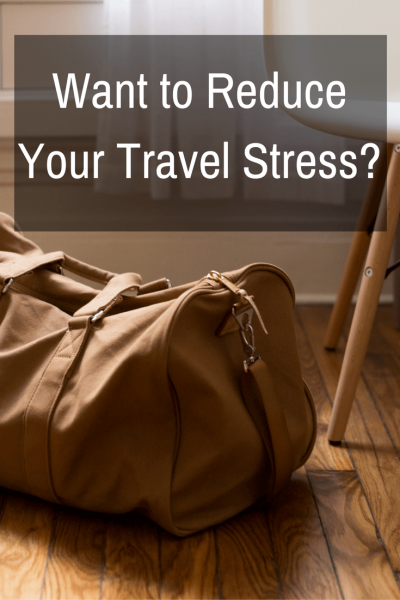 Want to Reduce Your Travel Stress? Want to know how to ease your travel stress? There are two simple words that answer to this question: Carry on. I’m just going to vent for a minute, so bear with me. The cost of checking luggage on airlines nowadays is outrageous. I understand airlines have to make their money somehow, but don’t we pay enough for the ticket?! Carry-on only! If it doesn’t fit into a carry on, leave it at home! Yes, my friends think I’m crazy. Some have even stated they are envious too! “How do you do it? !”, they ask. I have been on business trips and holidays, anywhere from 2 days to months on end – all with my carry-on luggage and a tote. When I told a friend this she gasped. She’s the traveller that takes an extra suitcase just for her shoes. Holidays are about the experience. Living in the moment. It’s not about spending precious vacation time in lines at the check-in counter, the baggage carousel, or god forbid, tracking down your lost luggage. 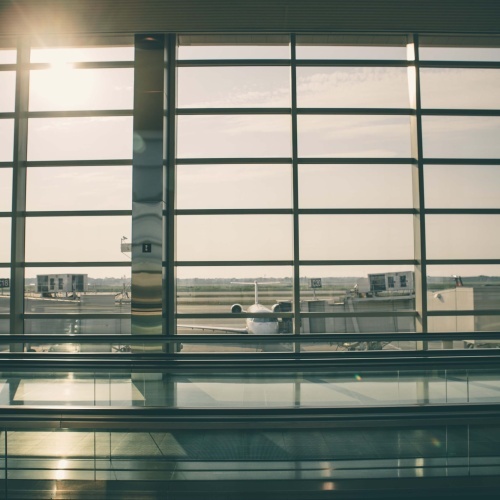 With carry-on only, you can speed through customs on international flights. You can avoid the luggage carousel, you already have everything you need and can adapt easily if your flight is missed or cancelled. Following the carry-on philosophy allows for stress-free travel and a great deal of flexibility. So, what do you pack and how do you pack it? Let’s start with the bag. I have two types of bags. The other is a Rick Steves’ Classic Back Door Bag. Both fit about the same amount. Where I am headed dictates the type of bag I take. The only difference between the two is one simple thing: wheels. If I know I’m going through Washington’s Dulles or Chicago O’Hare airport, I take the Tarmac. If I know I’m going to be in Italy, dealing with cobblestone streets and insane crowds, I take the Back Door Classic. The Back Door Classic I can wear on my back and maneuver easily. The Tarmac allows me to walk distances without feeling the load. A packing list makes traveling efficient, allowing you to think about what you are taking ahead of time. It reduces your stress levels, knowing you are organized enough to think about what to take ahead of time, so when it comes to ‘throwing it all in the bag’ you can simply follow the list. 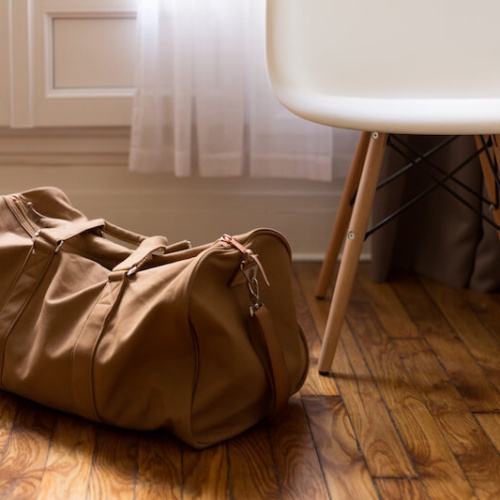 There are a number of packing lists online (check out our Pinterest page for great tips), but it really depends on you and your personal comfort level. My packing list started out long and detailed. Now with every trip, it’s further refined. I don’t take a bag for my dirty clothes anymore. I just use the dry cleaning bag from the hotel room, or, I pick up a reusable shopping bag at my destination, which then becomes a great souvenir that I can actually use at home. I no longer take toiletries if I am going to only one destination. I either use the hotel’s offerings or I buy them when I arrive. It’s a great way to immerse yourself in a culture just by buying your basic necessities. I’m a sucker for wearing all black. Dark coloured clothes are always a good choice but it’s good to throw in one or two coloured pieces too. It’s then super easy to match items and they don’t show obvious wear. Knowing what events you’ll be going to will help decide on what outfits you need. I make sure I work out outfits BEFORE I decide on what I’m taking. I have also been known to put outfits together on my bed the day before I pack although now I know what clothes travel best, so I do it in a spreadsheet. Yeah, I know… nerd alert! I take single-use Woolite packets, a plug and a travel clothesline and wash out the basics every few days. If I’m going to cold climates, I take silk long underwear and a scarf, because I find they keep me warmer. Layering is always better than packing an extra sweater. I also take along my thongs (a.k.a flip-flops), because you never know when you’ll find yourself running out the door when the fire alarm goes off at 3am (done that), or have a need to wear them into a questionable shower stall (done that too!). The key here is to take the minimum with you. Lay it all out and then eliminate the unnecessarry. Make sure everything will mix and match. If you get really stuck, you can usually buy something locally. Say you drop off your clothes to a Laundromat and they close before you can get back. Now I’ll be honest, I’m not your typical ‘off the rack’ size, so I can’t just dash into the local shop and ‘pick up something.’ However, even in Cork (Ireland), I was able to find a skirt when all of my pants were stuck at a cleaner overnight. There are ways, my friends. And what about the electronics? When it comes to packing electronics, I am always torn. My camera is a no brainer. I’m a photographer and the photos I return with are my souvenirs. I struggle with whether to pack the laptop or not. The two times I’ve have traveled without a computer I have regretted it. While it’s not much of an effort to pack the computer, it becomes inconvenient to unload at security checkpoints at the airport, but I know the pros far outweigh the cons and I am already in line anyway. So, to roll or fold? Regardless of the bag I choose, how I pack is the same. I roll. I use one of the best travel aids I have found: The packing cube. Without sounding like I give all my money to Eagle Creek, I do prefer their Pack-It™ systems over all others. I have a Pack-It™ Cube for t-shirts, a Pack-It™ Half Cube for underwear and a Pack-It™ Quarter Cube for my electronic gadgets like cables, adapters and chargers. By rolling your clothes and placing them into the packing cubes, it keeps them not only sorted but also compact. As to the order of how the bag is packed: Pants go in first, along with anything that will fill in the base of the bag easily such as windbreaker, shoes etc. Shoes are the most difficult to pack as they do not usually lay flat, so they are more difficult to work with. Since shoes are an empty space (or potential packing space), socks go inside and then I pack them together into drawstring shoe bags. Shoe bags are a great investment for travel as they keep any dirt or residue off your clean clothes. Shower caps are also great, which actually take up a lot less space! I roll the shirts and underwear before putting in the Pack-It™ cubes and then stack them into the bag, layered over the shoes and pants at the bottom. On top I place what is needed when I arrive at my destination, such as pajamas or a change of clothes and my toiletry bag that holds enough supplies for a day or two. Daypack or Large Tote are a must have. A daypack or zippered tote is a necessity. You need it not only for the plane but also for the daily adventures. You need a place to hold your camera, to put your jumper (or sweater) if you’re travelling in chilly weather, a spot for the an umbrella for those inclement weather changes – and don’t forget a water bottle. Place the plane necessities, a good book or magazine (which can both be traded later with another traveler), your iPod or phone, playing cards, crossword puzzles, medications, and your quart sized bag of liquid toiletries into your daypack or tote. Make sure your tickets and passport, your plastic bag with liquids, and laptop are in within easy access for the security line. With your daypack or tote, and your luggage packed, you are ready to go! No more luggage delays. No more worrying about what you may have forgotten. Now it’s on to easy travelling days! Travel stress eased! NOTE: Affiliate links were used in this post. We do not promote any brand we have not used or experienced for ourselves. All opinions are our own. Please follow our advice at your own risk. By clicking these links helps support the Travel Far Enough website as we get a small payout from links, when you purchase from them. For that, we thank you. Previous Post Discovering Australia: Planes, Trains or Automobiles? Next Post How Not To Be a Git When Camping.